Mr. Payne is Firm Managing Director of D. R. Payne and Associates, Inc. To every engagement, he brings over 20 years of experience in accounting, appraisal, management and consulting, in both private industry and the public sector. Before organizing the firm, Mr. Payne was a partner in the Consulting Group of the international accounting firm of KPMG Peat Marwick. Mr. Payne also serves as Director and Principal of Business Valuators & Appraisers as well as Turnaround Professionals, sister organizations specializing in appraisal and business management services, respectively. He has served as interim chief executive officer or financial officer during turnarounds and restructurings, court appointed trustee and receiver, as well as expert witness in matters of appraisal and damage assessments. Mr. Payne earned his B.S. in Accounting from Oklahoma Christian University in 1980. He has advanced his professional education through a number of specialized seminars, courses and certifications, including the following: Accredited Senior Appraiser (ASA) in Business Valuations; Certified Turnaround Professional (CTP) and Certified Insolvency and Restructuring Advisor (CIRA). He was among the first 100 professionals to be certified as a CTP and one of the 80 charter members certified as CIRA. His extensive organizational affiliations include the American Institute of Certified Public Accountants (AICPA); the American Society of Appraisers (ASA - former local chapter president); the Turnaround Management Association (TMA); the Association of Insolvency Restructuring Advisor Examiners (AIRA - current national board member); and the Association of Certified Fraud Examiners (CFE). Ms. Payne is Director of Litigation Consulting Services for the firm. She has over eighteen years of consulting experience in the public, private and government sectors. Before joining D. R. Payne & Associates, she served as a financial analyst for the U.S Department of Justice in the U.S. Trustee Program and as a manager/supervisor for KPMG Peat Marwick and KMG Main Hurdman. In the banking and oil and gas industries she has experience in corporate accounting, planning, reporting, and financial analysis. She is also skilled in various computer modeling techniques and financial applications. Ms. Payne is a graduate of the University of Oklahoma, with a degree in Business Finance. She continues to participate in professional development programs in bankruptcy law and accounting, litigation support, and forensic accounting. 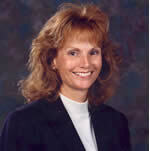 She is a member of the American Bankruptcy Institute (ABI), the Oklahoma Society of Certified Accountants (OSCPA), the American Institute of Certified Public Accountants (AICPA), the Association of Insolvency and Restructuring Advisors (AIRA), the American College of Forensic Examiners (ACFE), and an associate member of the Association of Certified Fraud Examiners (CFE). Mr. Neumeister is Director of Tax Services for the firm. He has over twenty years of experience in tax planning, tax controversies and tax compliance in both the public and private industry. Before joining the firm, Mr. Neumeister was Vice President Tax at Fleming Companies, Inc. (a Fortune 100 company). While at Fleming, Mr. Neumeister was responsible for the company’s overall tax planning, policies, procedures, filings, audits, appeals and litigation. He was an integral member of executive merger and acquisition team. At Fleming, Mr. Neumeister was responsible for all aspects of relevant taxes covering, U.S., state, and local jurisdictions, and including, income, franchise, net worth, sales & use, cigarette, other tobacco, excise, other sundry taxes and unclaimed property. Previous to Fleming Mr. Neumeister was a Senior Manager of Tax Services at Deloitte Touche LLP, where he served clients in the industries of retail, wholesale, manufacturing, professional services, construction, automobile dealers and others. Mr. Neumeister is a certified public accountant (CPA) with more than twenty years of experience in the area of taxation. Mr. Neumunster’s practice is focused in the areas of tax controversies, dispute resolution, and tax planning for business and high net worth individuals. He has successfully defended companies and individuals before the Internal Revenue Service with extensive experience in the Coordinated Industry Case (formerly large case) program, and has advised companies on state or local tax controversies in nearly forty states. Mr. Neumeister has extensive experience with Securities & Exchange Commission (SEC) tax disclosures and accounting for income taxes (FAS 109). Mr. Neumeister is a graduate of the University of Nebraska at Lincoln, with a B.S. in accounting (1982) and a M.P.A. with emphasis in taxation (1985). Mr. Neumeister has participated in or instructed continuing education programs in the areas of business tax planning, individual tax, tax technologies, accounting methods, tax controversies and others. Ms. Cline is the Manager of Valuation and Forensic Services for D. R. Payne & Associates. She has over fourteen years of experience with DRPA and has prepared valuation reports, expert witness reports, bankruptcy court reports and other special project reports used in litigation proceedings. Ms. Cline is a certified public accountant (CPA) and a Chartered Global Management Accountant (CGMA). She holds the title of Certified Valuation Analyst (CVA) granted by the National Association of Certified Valuation Analysts. She is also a Certified Insolvency & Restructuring Advisor (CIRA) and is Certified in Distressed Business Valuation (CDBV) granted by the Association of Insolvency and Restructuring Advisors. Ms. Cline is a graduate of Missouri State University with a Bachelor of Science in Marketing degree with continuing education in accounting from the University of Central Oklahoma. She is a member of the Oklahoma Society of Certified Public Accountants (OSCPA), the American Institute of Certified Public Accountants (AICPA), the National Association of Certified Valuation Analysts (NACVA), and the Association of Insolvency and Restructuring Advisors (AIRA). 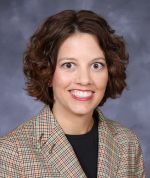 Luciana Simmons joined the firm as of April 2012. Ms. Simmons is a Certified Public Accountant and Certified Fraud Examiner with 14 years of experience working in a variety of industries, including public accounting, manufacturing, not-for-profits, healthcare, telecommunications, and oil & gas. She is a graduate of the University of Oklahoma (Bachelor of Accountancy, 1996) and has completed CLEET (Council on Law Enforcement Education and Training) Phases I through IV training to receive an Oklahoma Private Investigator license. Ms. Simmons has assisted in various forensic accounting and litigation support matters while employed at the firm. She especially enjoys investigative work including bankruptcy and securities fraud, embezzlement, locating hidden assets, and breach of fiduciary duty cases. She is a member of the Oklahoma Society of Certified Public Accountants, the Association of Certified Fraud Examiners, and the Oklahoma Private Investigators Association. Ms. McEntire is a Consultant at D. R. Payne & Associates, Inc. She has one (1) year of experience in industry accounting and over three (3) years of experience in assisting in the preparation of business valuation reports, expert witness reports, bankruptcy court reports and other special project reports used in litigation proceedings. Ms. McEntire holds the title of Certified Public Accountant granted by the Oklahoma Accountancy Board and the title of Certified Valuation Analyst granted by the National Association of Certified Valuators and Analysts. Ms. McEntire is a graduate of the University of Central Oklahoma (BS in Accounting). She is a member of the Oklahoma Society of Certified Public Accountants (OSCPA), the American Institute of Certified Public Accountants (AICPA), and the National Association of Certified Valuation Analysts (NACVA).